First post. I've searched, but not found this exact topic. I have read about other pressure issues but not this one. Sorry if this is redundant, just point me in the right direction and I'll go read some more. Q: How long should it take for the gauge to register pressure after startup? Approx 0 deg F start, it takes 10 seconds or a bit more for the needle to swing up. A couple of times the Low Pres warning message appeared. At cold key-on, prior to start, the needle sits at about 1 bar. Before the needle swings up, it fluctuates around 1 bar a bit. Today, 15F, ~ 8 seconds. In garage at ~30F, 2 or 3 seconds. Warmed up, 3000 in 5th, about 4 bar. Cold idle after winter start, about 4 bar. Hot idle after driving 45 minutes to work, 2 bar or slightly below. I've never seen less than 1.5. I will plug in my OBD reader tomorrow and see what I get. Q2: Where is the pressure sender located schematically? Q3: Has anyone else noticed this behavior at starts below freezing? Q4: Does anyone have experience of this being an early warning of something serious about to happen? Probably would be a good idea to change the oil pressure sender. It is located on the passenger side back between the intake runners. Accessible from underneath with a crow's foot wrench. Undo the wires from the top, remove right rear wheel, look up and you will see it. You can check for any CEL codes, but those are emissions related and will not show anything about oil pressure. Third thing to check is the bypass valve in the oil filter canister. Better than checking it is to buy a new canister and filter. Porsche sells them together now for less than $30. Or spring for the LN spin on oil filter adapter and use the no bypass oil filter they supply. I had weird oil pressure readings, changed the sender and all went to normal. After, I also changed to the LN spin on filter, but for other reasons. Thanks for the info, esp Joe - the sensor instructions and pic. I already have the LN Adapter. Using a Bosch 3332. I also see that my spare filters that I got from the selling indy dealer are Bosch 72233WS. Honestly, I don't know the difference there. Please educate me on the technical reason for a no-bypass filter. Doesn't it risk lack of flow in cold situations where extra pressure is required to push the oil through the media? So, can anyone tell me how many seconds it takes your car to show significant pressure after a cold start? Thanks again. I'm ordering the parts tonight and will install everything and report back ASAP. Even at 30F, you should get the full 5bar almost the instant the engine fires up. 2-3s is definitely not normal. Yep. 5 bar after a second upon startup. Funny you post that, because I just went through the same EXACT scenario as you, a couple of weeks ago. My original post is below. For me, car was fine but I needed a new Variocam Solenoid. Dropped it off to get replaced. A couple of days later, i noticed the Oil Pressure warning light was staying on longer than the other lights did, at startup. The oil pressure would be at zero and would take about 5 seconds before it began to rise. It would then get up to about 3 on cold startup, which is too low. It should be closer to 5. After the car was driven, it would build pressure as normal, at startup, but still would not get about 3. Mechanic replaced the sensor unit, which seems to fix this issue 90% of the time. For me, it did not. After some research, I had a thought that they may have used too much sealant when they replaced my cam cover after fixing my actuator. This causes an issue because the excess can break off and clog the oil pickup tube. My next move was to change the oil, drop the oil pan (very easy to do), and see what was up. 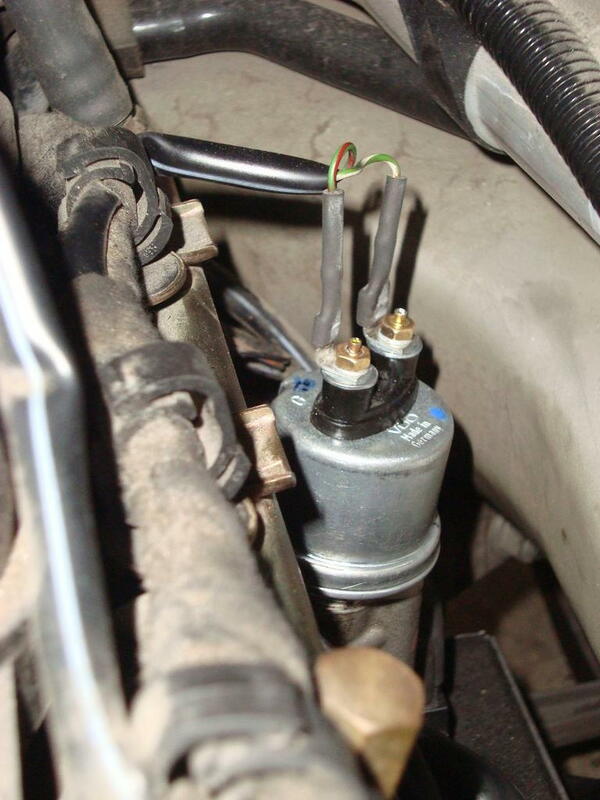 I also replaced the oil pressure relief valve and cylinder, which costs about $20 and is extremely easy to do. The relief valve looked ok, but i installed the new one anyways. My oil filter tube had some pieces of sealant stuck in the screen. I cleaned that out, replaced the oil pan and oil filter. After filling with oil, i started her up and everything was back to normal. You could replace the sensor, which is a $100 part and about 1 hours labor, and see if that fixes the issue, but it doesn't seem like that's your problem....Usually the pressure is much more erratic if the sensor is faulty. My recommendation is to drain all of the oil, drop the pan, and look for any pieces of crud at the bottom of the pan...clean all of that out. Then, look up and you'll see the oil pickup screen and see if there's anything stuck to the screen. If there is, you prob found your culprit. When reinstalling the pan, make sure you use a razorblade to remove any of the old sealant. When resealing, only use a very thin bead, or else youll be in the same boat as you are now, when the excess comes off and gets clogged up. Hope this helps! I was very frustrated at the time and worried about something major going on. I'm glad it was a simple fix, after some trial and error. If you have any questions you can message me privately. I get 5 bar within 1 sec of start up. Then once its up to operating oil temps i get 2 bar at idle and 4 to 5 bar while driving. Or spring for the LN spin on oil filter adapter and use the no bypass oil filter they supply. I don't recommend this, as it will worsen his problem, not alleviate it. At low startup temperatures you're better off with the larger stock filter media (including the bypass-valve) than with the spin-on filter which is considerably smaller and hampers initial flow. No oil at all is a *lot* worse than contaminated oil, hence the bypass valve in the stock setup. A no-bypass filter 'upgrade' would elongate the time it takes to build pressure and actually put his engine at considerable risk. That said, with the stock canister it should not take 10 seconds for the oil-pressure to register, although OP mentions he is running the spin-on with another filter. Does that filter have a bypass valve? If so, then your issue lies elsewhere, such as the screen from the pickup-coil. It should read straight 5bar when cold at all RPM. This car had a string of owners before I purchased it at 68k almost two years ago. I've already put 30k on it, and it's been rock solid. Surely if there was something wrong with the cam solenoid operation, it would set a code, no? The indy dealer that I bought it from was great. Clutch verified nearly new, IMS replaced (was already a LN in there), AOS, RMS, (all the acronyms! ), compression and cam angle checked good, very few overrevs, etc. So, certainly the pan could have been off in the past, but not recently. I have no problem to pull it off and have a look. Let's see what the weekend brings. At least the darn weather is warming up. Yesterday it was -13 on the way in. So, the pan does not use a gasket? Jay, what sort of sealant did you use? Yes, I did get a check engine code for the cam solenoid. I don't remember the code off the top of my head. This had nothing to do with my oil pressure situation, but I believe when my Indy resealed the cam cover, it either wasn't sealed 100% correctly, or they put too much sealant. I'm not aware of the brand they used as the sealant. This isn't something i was comfortable doing myself. For the oil pan, it's very simple to remove. it's a bunch of small bolts. There's no gasket. Just be sure to clean the surface area of any crud from the old sealant that was used before you re-apply. I used Loctite when i resealed, although i'm getting some oil drips around the edges. I'm in New England and it's very cold, so I don't know if it fully cured overnight before I refilled the oil the next day. I'm going to do it again in a couple weeks and get a different sealant. I have the name somewhere, but it's the one that LN recommends to use and other people have also mentioned it. When I remember the name, i'll let you know. Use Dreibond. Apply no more than 1mm bead and smear it flat with your finger. Jakhe has a diy video on you tube for this.